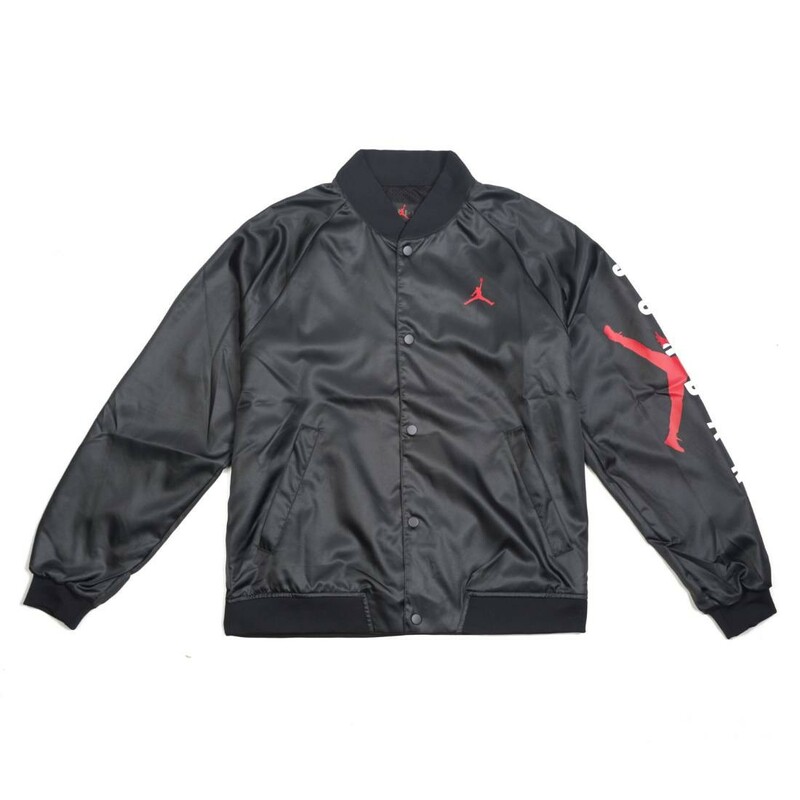 Jordan brings a classic stadium look to the streets with the Jordan Jumpman Air Men's Stadium Jacket. 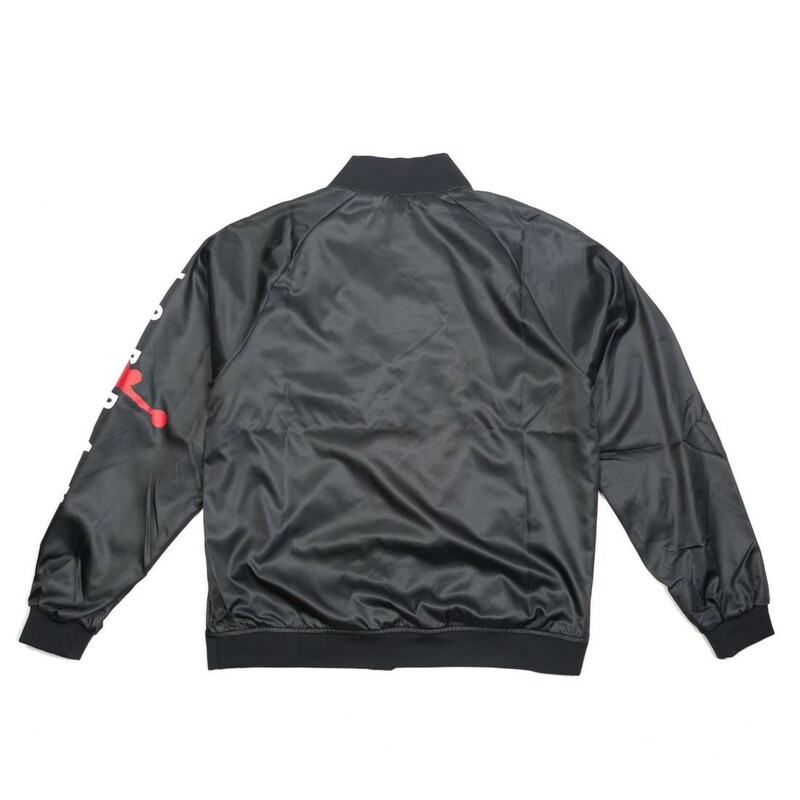 Its shiny satin shell shimmers under the lights, while its snaps and ribbing give you that timeless look. Satin shell has a shiny look. Snap-button closure lets you take it on and off with ease. Ribbed cuffs, collar and waistband help lock in your warmth. 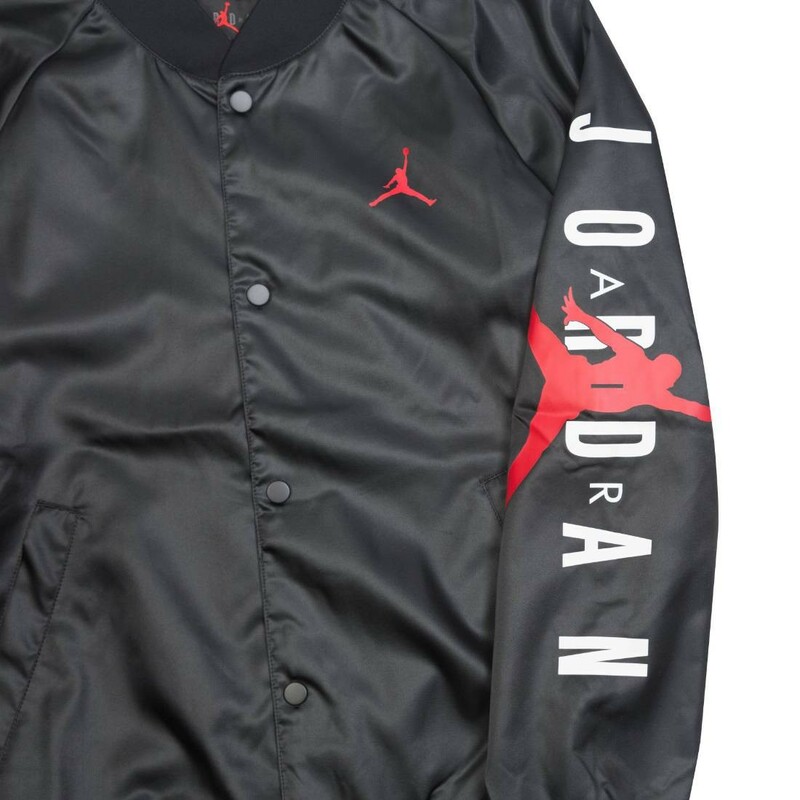 ""Air Jordan"" wordmark is screen printed down the left arm.